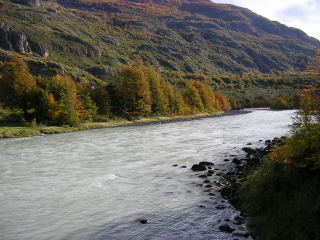 Founded in 1959, the United Nations designated Parque Nacional Torres del Paine an International Biosphere Reserve in 1978. Covering over half a million acres, it protects one of the most beautiful ecologies in South America. 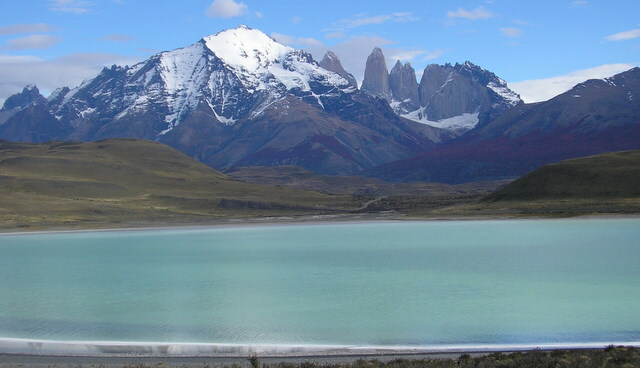 The Park draws tens of thousands of trekkers and mountain climbers worldwide for multi-day hikes traversing the Torres del Paine Massif, half a dozen lakes, rivers, marshlands, scrubland, beautiful forests of linga and beech trees and glaciers. A series of refugos - simple hut structures that provide hikers with shelter and water (although the water in all areas is glacier pure and safe to drink) - dot the Park. So do a number of privately owned inns in spectacular settings which provide a wonderful mix of total peace with luxury and will cost in the range of US$187 to $2,500 per night for a double. All the inns provide transportation from the Park entrance. If a traveler starts at the park entrance and moves north on either the Chilean or Argentine sides of the Andes trekking hundreds of miles of trails, they will experience one of Earth's most breathtaking protected environments. There are many day-long, 12-hour guided excursions available from Puerto Natales that can be arranged by your hotel or hostel with pick-up and drop-off right at your door. The best excursions are in vans that take no more than twelve passengers, the driver and the guide. On the particular excursion that I took, there were seven - a couple from Brazil, a young women from Japan, a gentleman from Spain, a couple from Chile and myself. 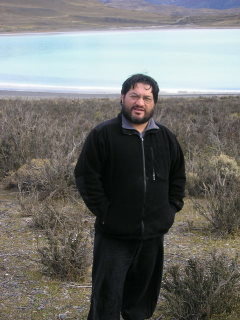 Our guide was multi-lingual, including Hebrew - a large number of Israelis visit Patagonia. Cost of the excursion was CH$18,000 = US$31.50 plus the CH$18,000 admission to the two Parks we visited, for a total of US$63.00 for a 12-hour adventure. 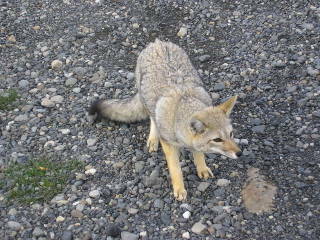 There are no public eating facilities within the park so pack a lunch. Our tour started at 7:00 AM with a drive to the Cueva del Milodon, a glacier created cave where the remains of an unknown prehistoric sloth-like animal, which went extinct 10,000 years ago, was discovered in 1895 by Otto Nordenskjold. 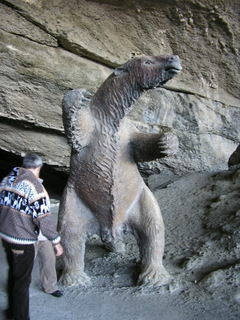 The Milodon, a peaceful herbivore, stood quite tall - approximately 20 feet - and has become the “mascot” of Puerto Natales. The cave proved to be a treasure trove of other prehistoric remains and was declared a national historic site in 1968. Besides the interesting echo chamber effect of the cave, our guide had extensive knowledge of the plant and animal life of Patagonia Sur. Indeed, the van stopped on our way to the cave to observe eagles and Black Vultures. 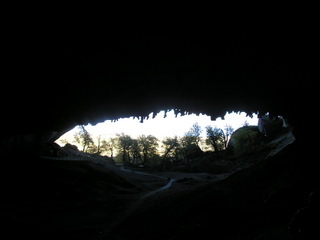 Entrance to the Cueva del Milodon is CH$3000 (US$5.30). The Monument includes easy hiking trails for people especially interested in the plant life of this region. 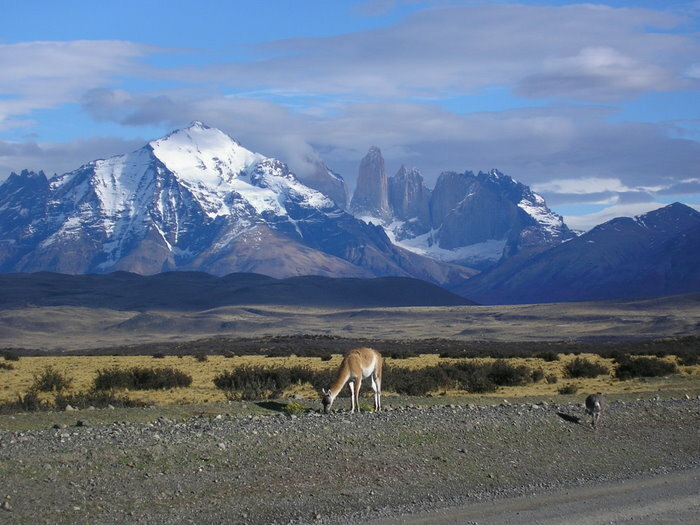 The entrance to Parque National Torres del Paine is 70-miles north of Puerto Natales traveling on both paved and gravel roads, although extensive road work currently being done, dawn to dusk, will, within a year, create a paved road all the way to the Park. Entrance fee is CH$15,000 for foreign visitors (US$26.50). 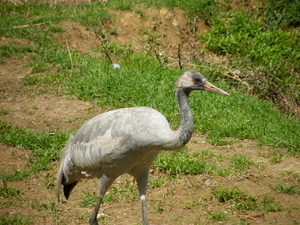 The tour covered another 60 to 70 miles of the vast park making frequent stops at which our guide explained the ecological importance of the area and gave ample time for photography. 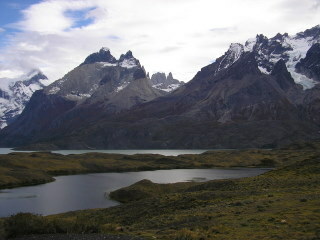 The Torres del Paine itself is the star of the park. It’s a massive 10,000 foot series of granite spikes thrust from deep in the ground over 12 million years ago by the tectonic pressure of Antarctic, Atlantic and Pacific plates. It’s magnificent in its snow covered splendor surrounded by a series of perfect glacier lakes, tinted green due to the mineral content of the geology. 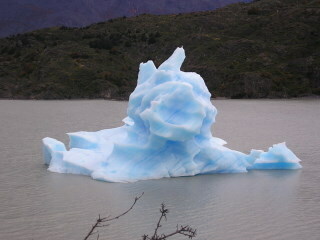 Glaciers can be seen streaming down the sides of the mountains. 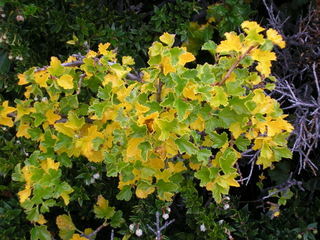 At Lago Gray, a 1-½ hour break in the tour provided the opportunity to hike the beach and a beautiful peninsula that was a microcosm of the plant life in the Park. From the beach and the peninsula, we had a close up view of ice bergs, from the glacier at the far end of the lake, in all their iridescent blue glory. 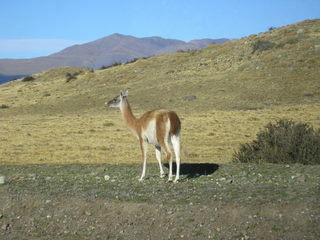 Guanaco - member of the camel family (llama and vicuna are cousins) - rhea, the South American relative to the ostrich, and gray fox were all in frequent sight, as were Condors souring gracefully on the mountain ridges. The illusive puma was not sighted. 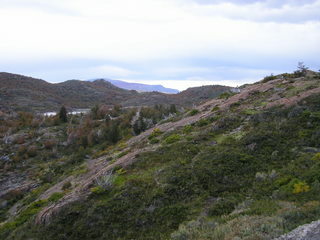 Four different microclimates within the Park create the unique opportunity to experience in one day the four major climates of Patagonia - shrub land, deciduous forest, Patagonian Steppe and Andean desert. 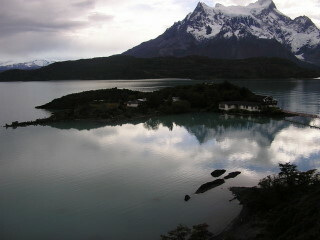 Torres del Paine is not to be missed.